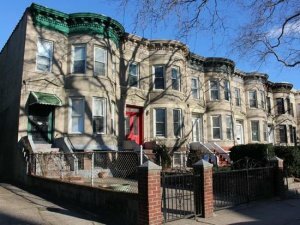 We Buy Brooklyn NY Houses Fast For Cash, Allowing You to Sell Quickly And Move Forward Without Dealing With A Banker, An Agent Or A Contractor. We Buy Houses Anywhere In Brooklyn And We’re Ready To Give You A Fair Offer For Your House. Ever wonder how to sell your house fast? Look no further, we want to buy your house with a fair cash offer. This no-hassle offer streamlines the buying process because we buy directly from you. It cuts out the necessity to pay for repairs by a contractor, commissions to a real estate agent, and other closing costs to a bank. It also cuts out the time it takes to sell your home the traditional way and you decide your closing date! Sometimes life doesn’t lend itself to waiting months to sell your house. It’s okay with us if you need to sell quickly. Our cash offers allow you to close on the house SUPER FAST! Are You Going Through A Difficult Housing Problem? Foreclosure breathing down your neck? Divorced and need to sell with your ex? Inherited an unwanted house and want cash instead? Dealing with bad renters? Tired of dealing with a stressful house? House stuck in a probate process? Repairs are too expensive? Agent can’t sell your home? Liens on the property? We have a solution for you. Contact us to set up a meeting so we can give you our fair cash offer that gives you the flexibility, and freedom, to move on from your burdensome house. We can help find a solution to any problem you might be having. We help homeowners all the time who are going through difficulties with their home. There is no need to make repairs! We buy Houses Brooklyn NY as is, so you don’t have to take the time or money to fix it up. Regardless of the condition, size or situation with the home, we want to buy directly from you! Are you sick of owning a home and the stress it’s causing you? Repairs or bad renters got you down? Look no further. It’s simply a fair cash offer that can lend you a hand in a time when you need some help to get out of a tough situation. Our offer gives you options to sell your home quickly and move on to the next chapter in life. Once you do sell, head over to Mariella to celebrate the moment over a nice meal with friends. How Do I Sell My House Fast in Brooklyn, NY? We can buy your house as quickly as we can! Selling through a real estate agent can take months and you have to pay for commissions to the agent, along with closing costs to the bank. Plus if you need to make repairs, which is normal when selling on the market, you may have to pay for an expensive contractor. We help you avoid all of those costs because we don’t charge commissions, we don’t ask you to make any repairs and we pay for closing costs. We take care of any repairs, so you can simply move on. We take care of all the details so you can easily transition out of your burdensome home. Imagine showing up at closing in a week to pick up your check. We can help you sell your home quickly and avoid a lengthy, drawn-out selling process. We help property owners just like you, in all kinds of situations. From divorce, foreclosure, the death of a family member, burdensome rental property, and all kinds of other situations. We buy houses in NY… including Brooklyn and surrounding areas and pay a fair cash price, fast. Sometimes, those who own property simply have lives that are too busy to take the time to do all of the things that typically need to be done to prepare a house to sell on the market… if that describes you, just let us know about the property you’d like to be rid of and sell your house fast for cash.